Blueberries have the highest antioxidant capacity of any fruit. It almost sounds too good to be true when you consider how awesome they taste. But no, it’s the truth – blueberries are among the healthiest foods out there. Antioxidants are crucial when it comes to maintaining a healthy body. They also work wonders in the area of anti-aging. And it’s not just postmenopausal women that reap the benefits of blueberries – they also reduce DNA damage, protect against cancer and help the cholesterol in your heart. So bottom line, if you’re gonna overindulge on any one fruit, you can’t go wrong with blueberries. And you certainly won’t be alone – they’re second only to strawberries when it comes to popularity. But hey, as with most produce, blueberries are expensive. So what on earth are you going to do? If you’ve been hanging around this website long enough, you already know the answer – you’re gonna grow your own! Well, at least I’ll show you how. 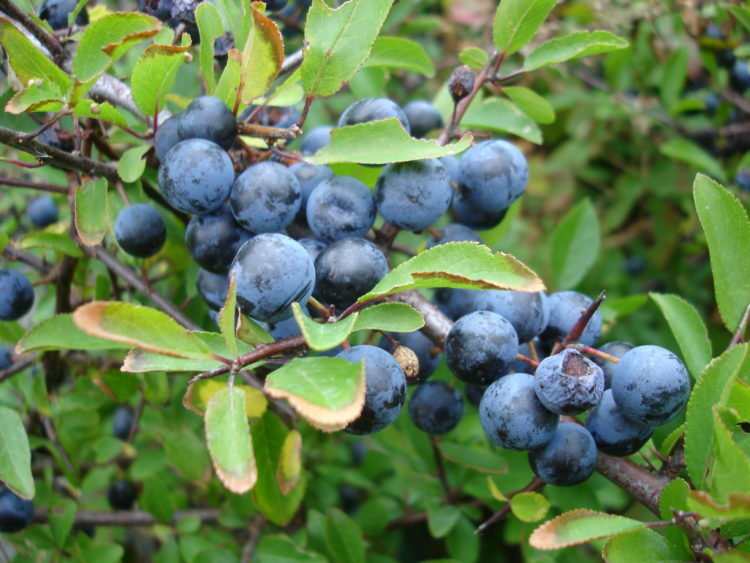 To start, select blueberry plants that are suited towards growing in pots. Try this variety, for example. Next, you’ll need to choose the right type of soil. It needs to have an acid pH level in the range of 4.5 to 5.0. The most common cause of failure when it comes to planting blueberries is the wrong pH level. Once you’ve got your blueberry plant, your soil and your pot or bucket, fill the container two-thirds with soil. Center your blueberry bush in the container and cover it with soil right up to the crown. Don’t plant it much deeper than it was in the nursery pot as blueberry roots are shallow. Once you’ve finished planting the bush, water it well and fill in any air pockets with more soil. Spread 1 to 2 inches of mulch such as pine needles on top of the soil. The more sun your plant gets the better – aim for about six hours of sunlight a day to be hitting your blueberry plant. I hope you’ve got lots of friends that love blueberries ’cause pretty soon, you’re gonna have more than you can handle! Blueberries are just one of the awesome goodies nature has given us. Check out this video to learn more about another superfood! The post Study Shows What Happens To Your Mind And Body After Eating 2 Cups Of Blueberries Per Day appeared first on DavidWolfe.com. 4 Clear Signs it’s Time to Change Jobs!